Perry Noble is the former Senior Pastor of NewSpring Church in South Carolina. Perry will be the first to say that there's no secret formula for being a successful leader, but there is a PERFECT example – Jesus Christ. This podcast is for those who are ready to be challenged in their faith and stretched as leaders and for those willing to do whatever it takes to be more like Jesus. 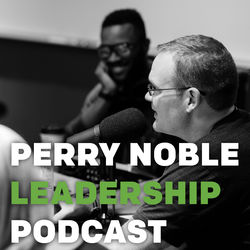 Listen and subscribe now to the best Christian podcasts today from podcasters just like Perry Noble Leadership Podcast. These popular Christian podcasts are available to listen to and download for free on Faithplay. Faithplay is filled with more episodes from Perry Noble Leadership Podcast and other top Christian podcasts. Download Faithplay today and start listening!